In September 2018 the Graduate Institute in partnership with the Pierre du Bois Foundation inaugurated a new position titled Pierre du Bois Chair Europe and the World. The new position is an illustration of the commitment the Pierre du Bois Foundation has to the advancement of historical research and teaching at the Graduate Institute. Spring of 2019 – Professor Goebel teaches two courses at the Graduate Institute, one on the History of Migration and the other on France and the World. Michael Goebel has published an article (in Spanish) about Latin American students in interwar Paris, who later became leading proponents of the Third World idea. The introduction and table of contents of the edited volume (ed. Martín Bergel), in which the article appeared, can be found here. Professor Michael Goebel is the first holder of the Pierre du Bois Chair. When recently asked about the transition and motivation to come to Geneva and the Graduate Institute, Michael replied, “I believe there are many people here who I can speak to in order to “fill in the blanks” of my own research as well as make forays into other areas of research I enjoy but without having sufficiently grounded knowledge on those subjects. All of this is important to my work and so is the exposure to the kind of cosmopolitan environment and flow of persons in this city and the Institute. The International History Department offers a spectrum of global, international and transnational history in its widest manifestations, which is very rare, at least in Europe.” The rest of the interview can be read here. 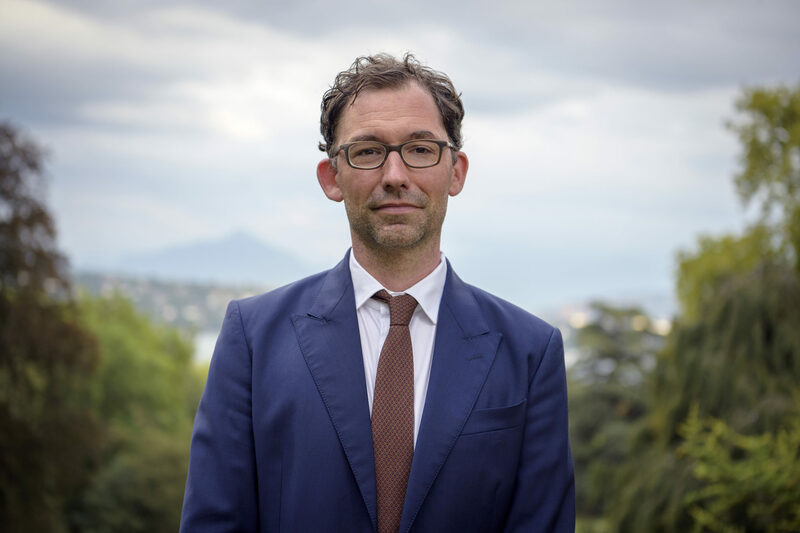 Prior to joining the Institute in 2018, Michael Goebel was Associate Professor of Global History at Freie Universität Berlin. His latest book, Anti-Imperial Metropolis: Interwar Paris and the Seeds of Third World Nationalism, was published by Cambridge University Press in 2015. The book examines the relationship between nationalist movements and their leaders many of whom spent their intellectually formative years in European centers. An interview about the book can be viewed here. Additionally, the book won the Jerry Bentley Prize in World History from the American Historical Association in 2016. Michael Goebel began as an intellectual historian of Latin America, but he has grown increasingly interested in the intersection of global and urban history in the nineteenth and twentieth centuries. In July 2014 he received his Habilitation in Modern History. In 2012–13 he was a John F. Kennedy Fellow at the Center for European Studies at Harvard University and in 2008–11 Marie Curie Fellow at the European University Institute, Florence. The latter led to his first book titled Argentina’s Partisan Past: Nationalism and the Politics of History published in 2011 by Liverpool University Press. His articles on the history of migration and the global history of nationalism have appeared in journals such as The American Historical Review, Past and Present, and Geschichte und Gesellschaft. Additionally, Professor Michael Goebel is a co-founder of the Global Urban History blog. His publications and full Curriculum Vitae are viewable here. Tuesday 26 March 2019 Professor Goebel gave a lunch lecture at the Graduate Institute titled: Is Nationalism Contagious? Please read his interview here. Keep up-to-date with all our latest news and information by subscribing to our mailing list.